Journey guitarist and founder Neal Schon has revealed some apparent dissention within the band with a series of social media posts directed towards keyboardist Jonathan Cain. Schon got more specific with some follow-up comments (which have since been deleted), writing, “I’ve stated how I felt about mixing Religion and Politics and how our music is not of 1 religion – Democratic or Republican. This is and has been an issue with myself Mr Cain and his now wife since he married” – a reference to Cain’s wife, Pentecostal Christian televangelist Paula White. “I’ve had to fight this whole time to protect the Brand I built with Steve Perry way before Gregg and I picked Cain to replace himself when he wanted to retire from the road back then,” he added. “Well frankly, I’m tired of having to defend all by myself. [Bassist] Ross [Valory] is no help. I continue to grow and be completely creative and want to take the band Neal Schon’s JRNY on an exciting new trip musically. Schon also added a comment to another Instagram post featuring a live image of the guitarist and singer Arnel Pineda that reads: “We all come from somewhere - some of us remember - I do. Thank you Carlos and Gregg”, referring to his days with keyboardist Gregg Rolie in Carlos Santana’s band before the pair started Journey in 1973. The singer tweeted a series of additional thoughts on Monday, writing “Let #forgiveness #sisterhood & #brotherhood champion our hearts today.. Have a #blessedday everyone”, “Believing in #God means forgiving & embracing each others #imperfection. Let #His examples apply now..”, “Only if i have d #power to heal wounded hearts. Just want everybody to be #FRIENDS again”, and “Regardless,@JourneyOfficial rockin on tonight for you #Tulsa Let the #LIGHT shine down our #heart&soul .. See you all in a few. 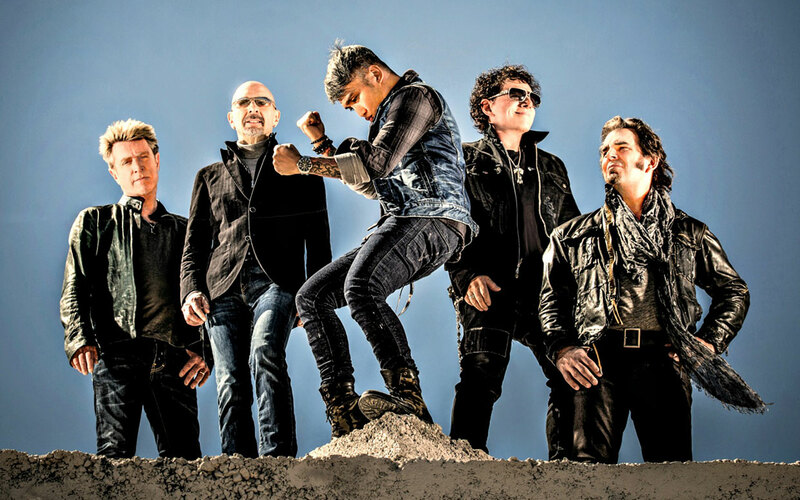 The public feud surfaces just two months after Journey were inducted into the 2017 Rock And Roll Hall Of Fame in New York that saw former members Rolie and Steve Perry on hand for the honor. 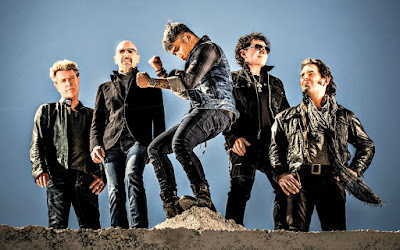 Journey are currently on a North American tour with Asia that runs until the end of July. Let #forgiveness #sisterhood & #brotherhood champion our hearts today.. Believing in #God means forgiving & embracing each others #imperfection. Let #His examples apply now..
Only if i have d #power to heal wounded hearts. Just want everybody to be #FRIENDS again. Let the #LIGHT shine down our #heart&soul ..